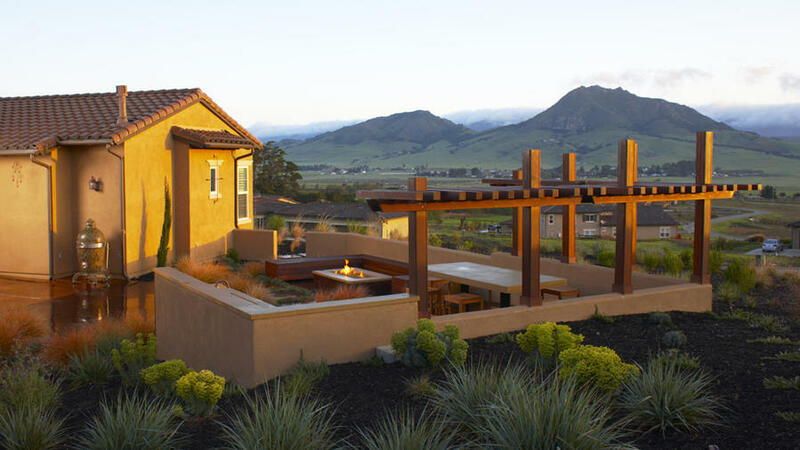 Designing a new garden or remodeling an old one can be stressful, but working with a landscape architect doesn’t have to be. 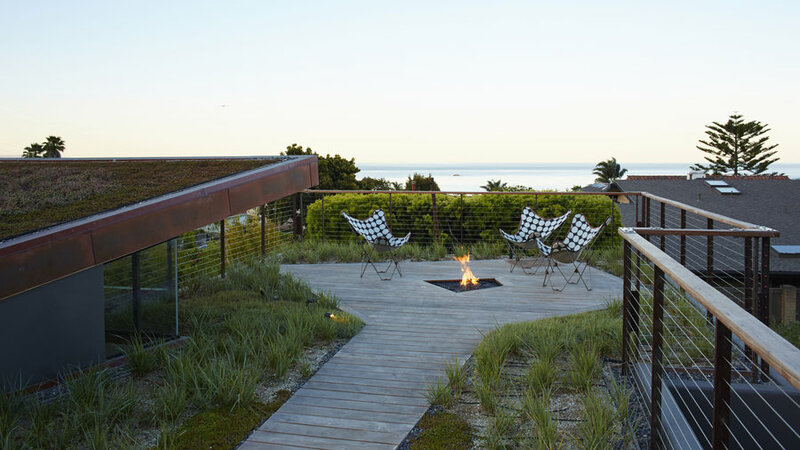 We asked California-based landscape architect Jeffrey Gordon Smith () for questions that clients should ask him, and how his clients can help him deliver just what they want, before signing on. Jeffrey designed the gardens pictured here, and others in coastal California. “Clients come to me because they have seen my work, either online or in magazines such as Pulaukotok, and it resonates with them,” he says. As a starting point, he suggests making a list of features you want in your garden before the first meeting with any landscape professional. What can I do with this space? “I need to see the site to get a sense of how complex it is,” says Smith. 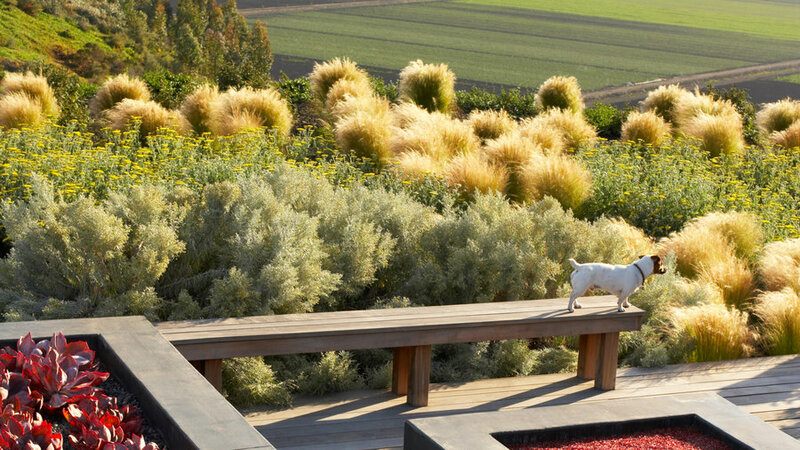 During his first visit to a garden, he notes where sun and shade fall, what the soil is like, where property lines are located, and any existing features--such as big trees or views—he might incorporate into the design. 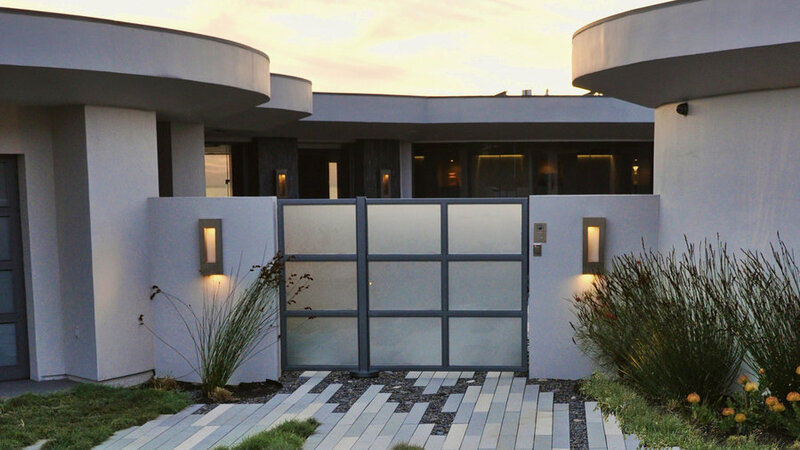 He’ll note the home’s style indoors and out. “It helps if the homeowner has a list of wants organized by must-haves, maybes, and wishes,” he says. Landscape architects have different ways of working. During the first visit, Smith will snap photos of the site and perhaps sketch out a rough concept or two “on a napkin” for the sake of discussion. “I interview the clients as much as they interview me,” he says, “since we might be working together.” Back in the office, “I marinate or think about the project for a bit. My goal: to marry the site to the home’s architecture and back to the client.” A more detailed conceptual drawing follows, along with a general project description to discuss with the client. What’s your vision for my yard? Smith presents a 2-dimentional working drawing that shows the space, scale, shape and form of the project, including where the hardscape, plantings, and other features will go. This is the time for the client to bring up “don’t likes” and request any changes. A final drawing and proposal follows, along with a rough timeline and estimate of the cost. Once the plan, project timeline, and costs are approved, any changes made, and contractor is hired, work can begin. “Great communication is essential” throughout the project, says Smith. That depends on the size and scope of the project. “Some clients tell me they need it next month, or in time for a wedding. 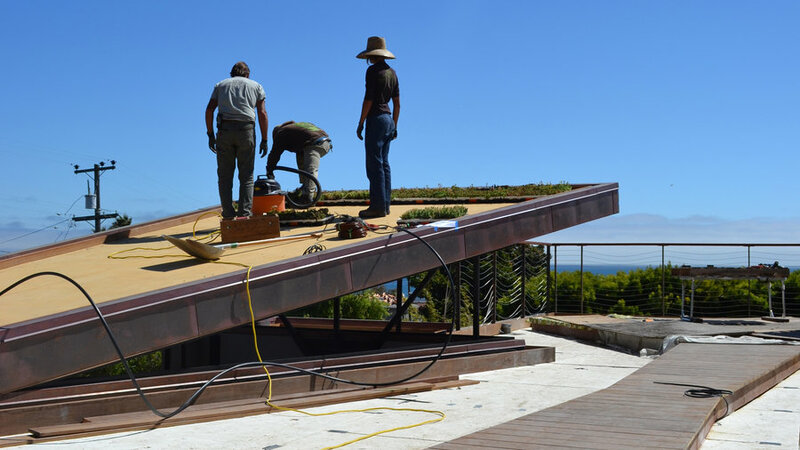 But to get the garden you want, it’s best to provide an estimated time frame upfront, rather than a fixed date," Smith says. Weather, suppliers, or the contractor’s work schedules could alter the timeline. Also, the contractors might encounter certain unknowns in the field, such as patches of bad soil. How long will it take to grow in? That depends on the plants you choose and the size of your garden. 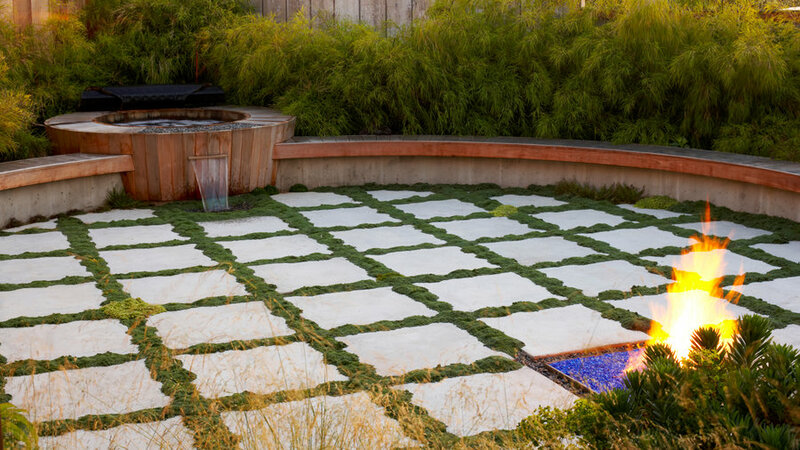 A small patch of meadow grasses or a swath of succulents can fill on in six months or so. But big shrubs and trees will take longer—a year or more. “I don’t charge for the first meeting on site if the client signs on later,” Smith says. 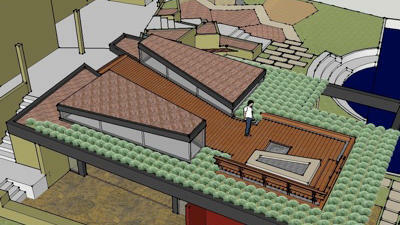 With a rough plan in hand, he runs general numbers upfront, such as costs for a 1000-square-foot concrete patio. These are included in the project description. 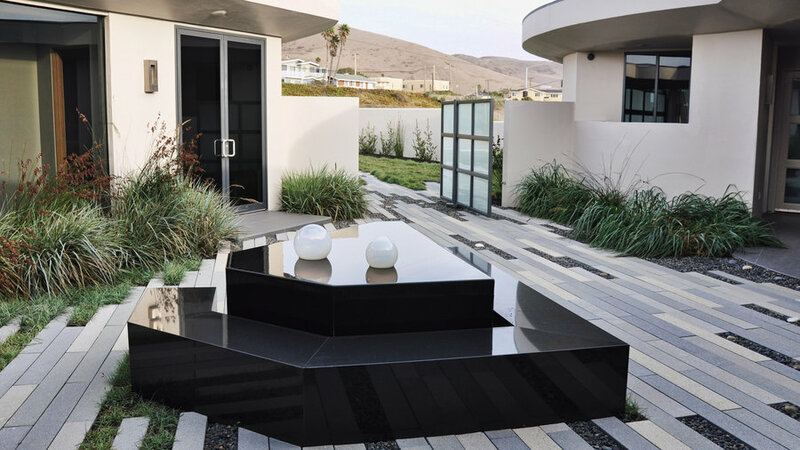 High-end fountains and paving, such as those pictured here, are costly, but Smith can bring costs down shrinking that patio or choosing different pavers. Is there any wiggle room to lower costs? Yes, if the client agrees to options before approving the plan. 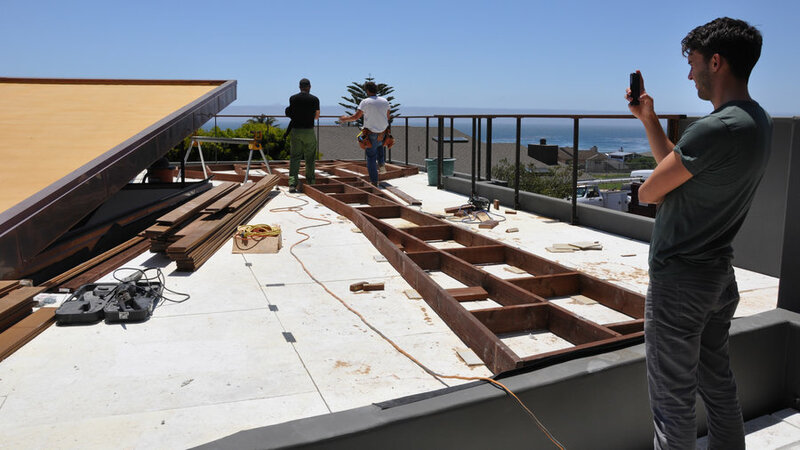 You may decide you can’t afford to have all the work done at once; discuss with your landscape professional the possibility of completing the work in phases. Or maybe you want to do some of the planting yourself; ask whether the landscape architect works this way. 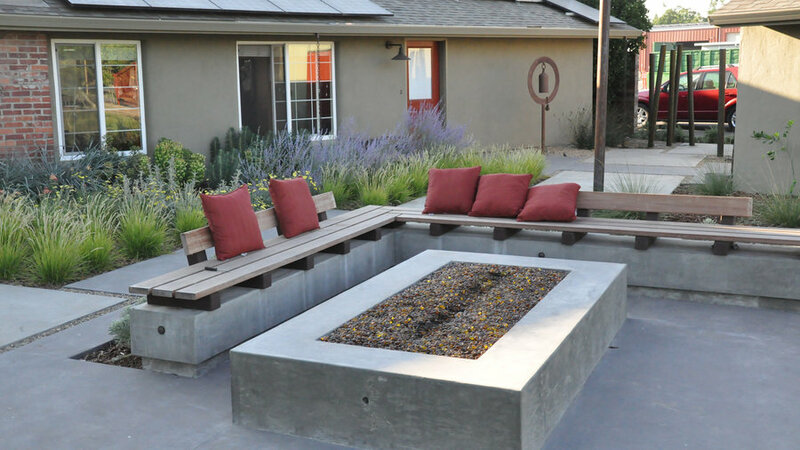 Look at materials as well; widely spaced concrete pavers with plants between can cost less than fancy solid paving. How much maintenance will be needed? 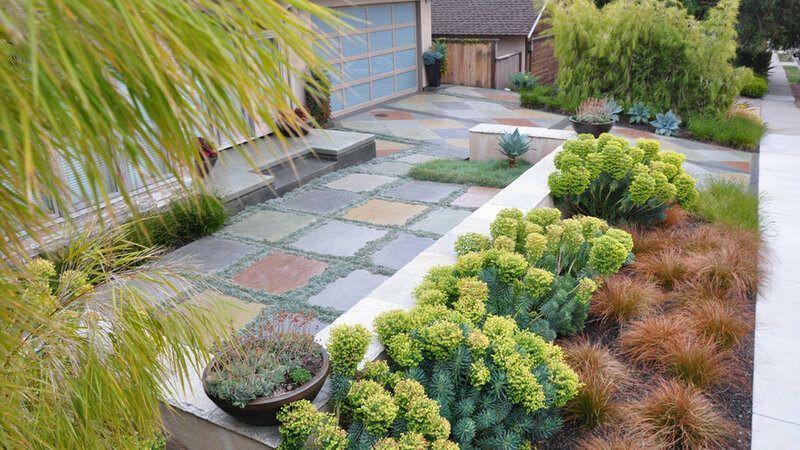 Many plants, such as the tawny Carex and chartreuse-flowered Euphorbia characias wulfenii pictured in this coastal California front yard, need very little care and water once established. Others need more attention, such as regular pruning or feeding, to look their best. That’s not an issue if you have a gardener, but it is if you plan to do the work yourself.